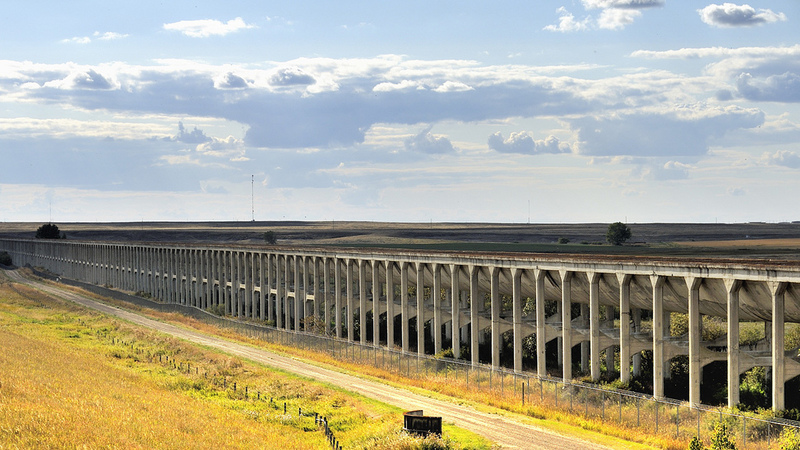 DESCRIPTION: Built between 1912 and 1914, the Aqueduct was a 3.2 kilometre long reinforced concrete trestle carrying a suspended shell designed to carry water east from Lake Newell. 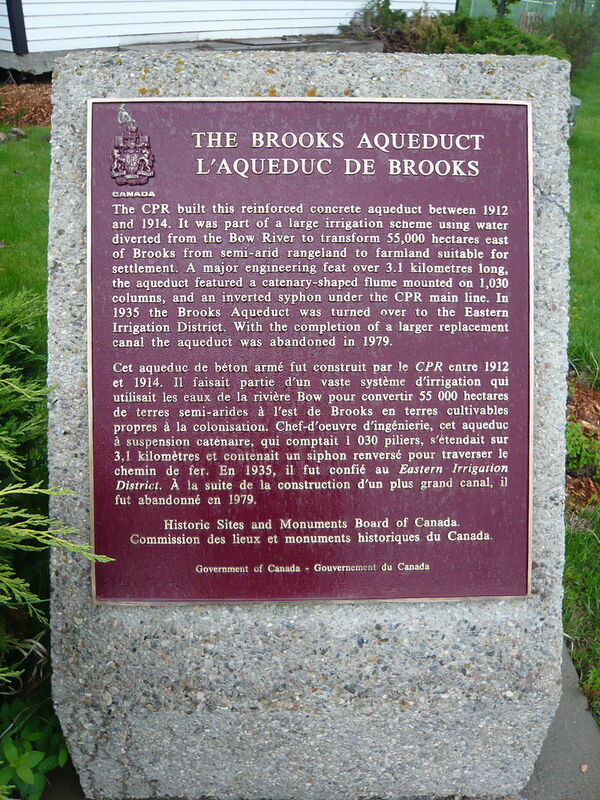 The aqueduct includes an inverted siphon under the Canadian Pacific Railway line. Its maximum height is 64 feet. The Engineer was Hugh B. Muckleton. It was used until 1979 when it was replaced by a canal. 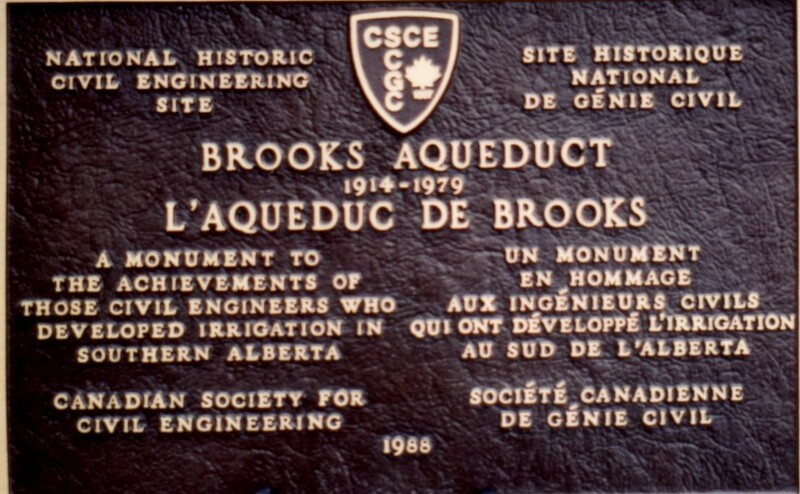 HISTORIC SIGNIFICANCE: The aqueduct is a significant civil engineering structure from both a design and a construction perspective. At a time when reinforced concrete was not in wide use, its size, length, materials used, the volume of water carried and the siphon under the CPR line all presented unusual design problems. The hydrostatic catenary design of the flume minimized resistance to water flow. The structure incorporated some 25,000 cubic yards of concrete and 2,000 tons of steel. 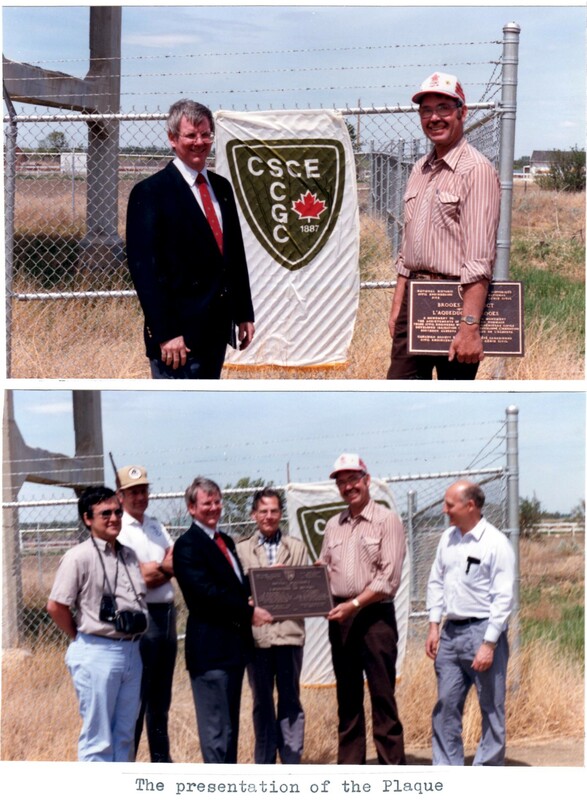 PLAQUE PRESENTED BY DANIEL W. SMITH, PRESIDENT CSCE to W. MORTENSEN CHAIRMAN OF THE BOARD OF DIRECTORS OF THE E.I.D.